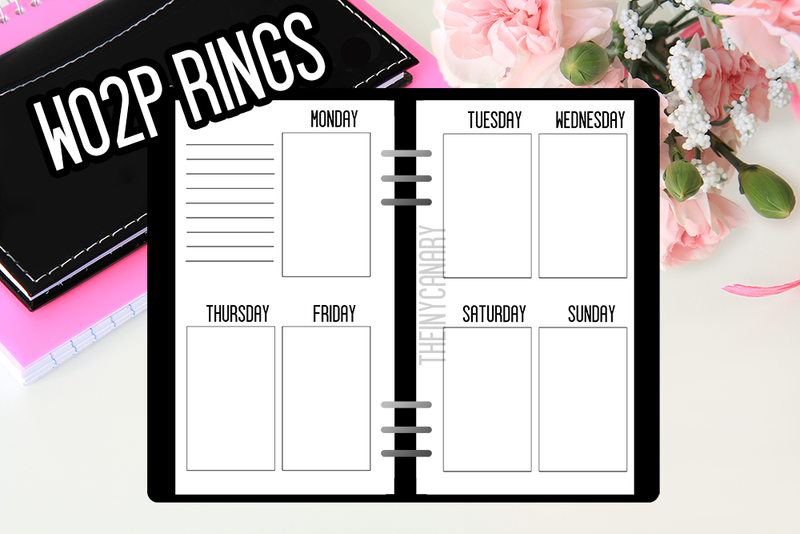 Due to popular demand, I made these ECLP compatible week on 2 page inserts for the Personal and A5 Rings. Due to the size of the boxes, Pocket rings cannot be made available with the same dimensions. If the demand for a similar, but smaller scale, printable is still wanted, I will be sure to do so! The a5 printable will be different in that there is no notes section and each box is the entire length of the page. You may view the item before downloading through the dropbox link below. For the personal Rings, I suggest printing on a Letter or A4 sheet of paper, double sided on the short side. For the half letter/ a5 size, I suggest using a half letter sheet to print or an a5 sheet instead of an a4 or full letter.